Simply fill in a few brief details below to compare prices for a professional Asbestos Survey on your property. It only takes a few seconds to appear on your screen. You can then contact them directly to discuss your requirements in more detail and book an inspection date. 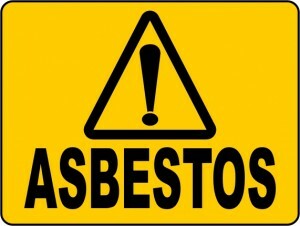 Asbestos – should I be worried? Complete the form above and you will instantly receive initial estimates from a number of Asbestos Surveyors with full contact details. You can then contact them directly and discuss your requirement in detail. The estimates you will receive are guideline prices for the Asbestos Surveyor to visit your property and carry out an initial investigation. Having done the investigation, the Surveyor will then be able to provide a report outlining further steps that need to be considered and an give you an indication of any further costs. Much will depend on the type of survey required. 1. Management Survey carried out as part of risk control in an occupied building. This was previously called a Type 1 or Type 2 Survey. 2. Demolition/Refurbishment Survey carried out prior to work starting so the asbestos can first be safely removed. This was previously called a Type 3 Survey. This survey is destructive as even hidden asbestos containing materials must be identified. A Management Survey (number 1 above) will not provide a list of all asbestos containing materials, just those which present a risk to people in the building during normal occupancy. If building work or demolition is planned a fully intrusive survey will be needed. A competent asbestos survey will provide further advice. Surveyors carrying out inspections will normally have the qualifications BOHS P402 and P405. It is generally accepted that blue asbestos is the most dangerous, followed by brown and then white. However the material with which the asbestos was mixed is also an important added risk factor. If the fibres are well bonded the material is of a lower risk as fibres are less likely to be released and become airborne. With high risk materials even minor disturbance can release significant quantities of fibres. It is very common to find asbestos-based materials in residential buildings, and in most cases there is no cause for alarm. The main risk is where it is inhaled as a fine dust, so these materials should never be sawn, sanded, drilled, brushed or disturbed in any way that might result in the production of dust or fibres. Provided asbestos is not disturbed, the likelihood of major problems developing is very much reduced. The removal of asbestos from a building can be a complex and costly process and should only be carried out by a licensed contractor. They will ensure that the removal is carried out safely and that the asbestos, once removed, is taken to a licensed disposal site where it will not cause a hazard to other people. More information about asbestos surveys can be found in the HSE document; Surveying, sampling and assessment of asbestos-containing materials, MDHS-100. 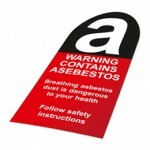 A useful website is www.hse.gov.uk/asbestos. The material was only prohibited in the UK in late 1999, meaning there is over a century of use. From a regulatory perspective all buildings built prior to 2000 must therefore be regarded as potentially asbestos containing and managed in accordance with a stringent list of requirements to ensure that any risk from asbestos is effectively controlled. It is generally acknowledged that over 75% of the UK’s schools contain asbestos. Asbestosis is a chronic disease associated with high levels of exposure, typically in the processing / manufacturing or handling industries. 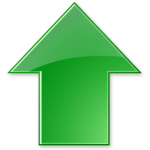 Deaths associated with asbestosis are slowly declining and are currently fewer than 500 per annum. But it is estimated that 2,000 deaths occur annually due to asbestos-related lung cancers. Over the past 20 years, mesothelioma has emerged as a main concern, affecting not only those in occupational contact but those who have been exposed to low levels of asbestos. The number of deaths has increased significantly from 158 in 1968 to 2,535 in 2012 and the figure is still rising. The UK has the unenviable title of having the highest levels of mesothelioma in the world, losing more people to the disease each year than are killed in road accidents. The combined death toll from asbestosis, asbestos lung-related lung cancers and mesothelioma currently exceeds 5,000 deaths per annum, despite research suggesting the peak in deaths should already have occurred. Asbestos fibres are bio-persistent. The properties that led to the material’s use also prevent it being broken down by the body’s defence mechanisms for long periods of time. Emerging theories suggest that long-term exposure to very low levels of asbestos may present the same risk as short duration high-level exposure due to bio-persistency. This may best be exemplified by the increasing numbers of teachers contracting mesothelioma. Some products contain high levels of fibres such as lagging and sprayed asbestos, while others have a lower content such as floor tiles and textured finishes. In poorly maintained buildings, asbestos materials will degrade and hence may release fibres. Understanding this risk is complex. A degraded material with high fibre content such as sprayed asbestos presents a high risk, but its location is a major factor in the outcome. In a plant room, exposure risk to general building users will be minimal, however if the location is a return air plenum the number of people affected could be considerable. In friable material, such as sprayed asbestos or asbestos insulation and asbestos insulation board, even minor disturbance can result in the significant release of fibres. These materials would generally be regarded as high risk and their presence can have implications on the day-to-day management of properties. Asbestos cement sheets in good condition would generally be regarded as low risk. If the material can be removed whole this would not affect its friability because the fibres are bound within the matrix. If, however, the sheets will be damaged during removal then the friability of the material and the level of control needed will increase. The same applies if the sheets are weathered and degraded. 1. Where work involves the highest risk, most friable materials, only contractors licensed by the Health and Safety Executive can be used, with all works notified to the appropriate enforcing authority. 2. For low-risk items that can be removed intact, the only requirement is for the use of appropriately trained and insured contractors. 3. The middle ground of materials where the friability is moderate and the levels of fibre release will be increased by the works are termed notifiable non-licensed works. The requirements for control sit between licensed and non-licensed work but the contractor must notify these works. The European Parliament has begun discussions on establishing an acceptable environmental level for asbestos exposure. The proposed threshold will apply to all buildings and is considerably lower than the level currently deemed acceptable. The implication is that such a limit may have a direct impact on properties where higher risk friable materials are present.